On the verge of going broke after 4 years of commercial crop failure, Gabe Brown and family could no longer afford chemical inputs on their 5,400-acre ranch near Bismarck, North Dakota. They began searching for a non-chemical farming model and soon began implementing non-conventional approaches using patterns from nature, which began to rapidly improve their soil, resulting in high yields and strong net profits. For over 20 years, they have said NO to unsustainable farming and ranching practices. 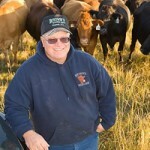 Gabe will teach us how to farm and ranch profitably and sustainably, even in drought years. 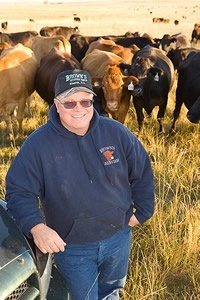 A very popular speaker, Brown will show us how his family holistically integrates mob grazing of grass-fed beef, sheep and poultry with a no-till cropping system, including a wide variety of cash crops along with over 25 multi-species cover crops. This diversity and integration has regenerated the natural resources on the ranch without the use of synthetic fertilizers, pesticides, herbicides or fungicides. Over 2,000 people visit the Brown’s ranch annually to see this award winning sustainable operation for themselves, and adopt the Brown family’s practices on their own farms and ranches. 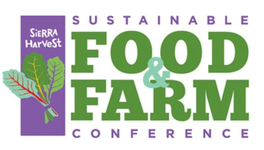 Gabe is presenting at the 2016 Sustainable Food & Farm Conference on January 9th.Read more about Brown’s Ranch here.